Display awesome in-flight images as your screensaver! View many different Air Force fighters including the F-15 and F-16, new planes such as the F-117 and the F-22, and vintage aircraft like the P-51. 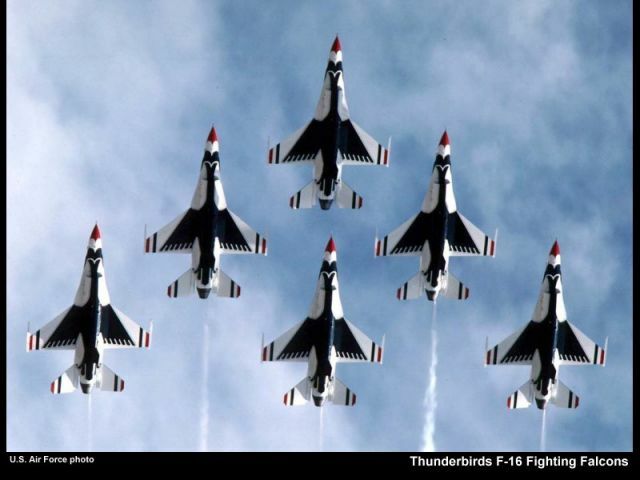 See the Thunderbirds fly in tight formation. Experience the thrill of flying a jet fighter from within the cockpit. Watch fighters drop laser-guided bombs and fire missiles. Contains 36 amazing images. Includes 36 Awesome in-flight action images! - A short MP3 clip of "America the Beautiful" is included. GetRight-compatible! If you use GetRight to download files from the Internet, the American Air Force Fighters Screensaver will show you which files are downloading and the percentage completed. You don't have to disable your screen saver to keep track of your downloads! 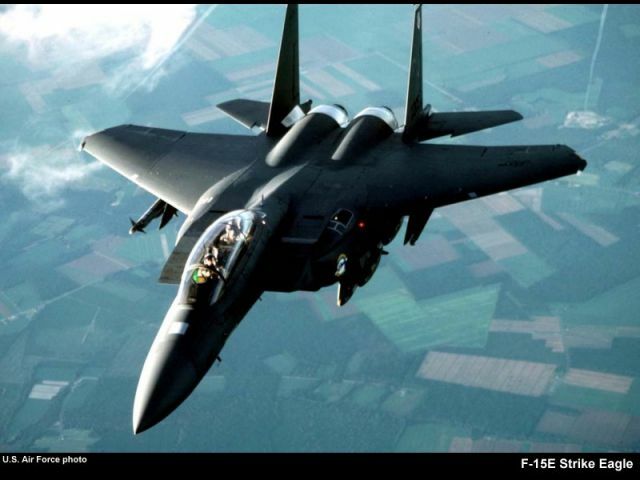 Click on the American Air Force Fighters Screensaver icon in your Windows tool tray to run the screen saver immediately, or for quick access to the configuration options! Optimized for speed and smooth operation, the American Air Force Fighters Screensaver is compact, and requires no additional DLL's or modules. 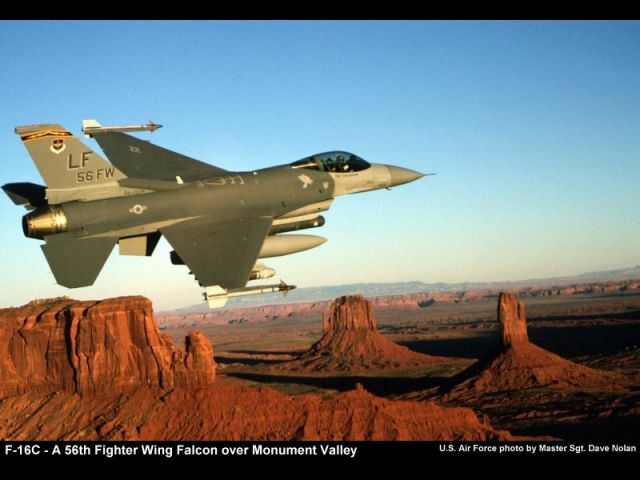 Below are three of the images included in the American Air Force Fighters Screensaver. Click on an image to see it at 640x480 resolution (the screensaver will actually show the images at higher resolution: 800x600).